Managing Director of Real Coffee Lars Mansfeld-Giese has had enough of the US budget dispute. The dispute triggered a partial shutdown of the government, which has prevented Real Coffee from getting its organic coffee capsules through customs and out to American consumers. The US government shutdown made it impossible for Danish Real Coffee to get their organic coffee capsules into the US. The company is relieved about the reopening but fears new budget disputes. After over a month of political stalemate, the partial shutdown of the US government is over. This also means that Danish company Real Coffee will hopefully be able to get its organic coffee capsules into the US. The obstacle for Real Coffee has been that the federal workers at US customs authorities whose approval is required before Real Coffee can sell its capsules in the US have not been at work as a result of the shutdown. “The only thing we’re missing is a stamp allowing us to sell our capsules. But that approval has been impossible to get, because no one has been at work,” says Lars Manfeld-Giese. His hope is that the reopening of government will mean that customs officers will return to work and can issue the necessary approval so Real Coffee’s capsules can enter the country. Lars Mansfeld-Giese can’t relax quite yet. In an interview with the Wall Street Journal, US President Donald Trump said that a new government shutdown is “certainly an option” when the stopgap spending bill runs out on 15 February. According to Trump, a new shutdown could happen if his demand for funding of the controversial border wall is not met. “I’m crossing my fingers that American politicians will reach an agreement within the next three weeks. 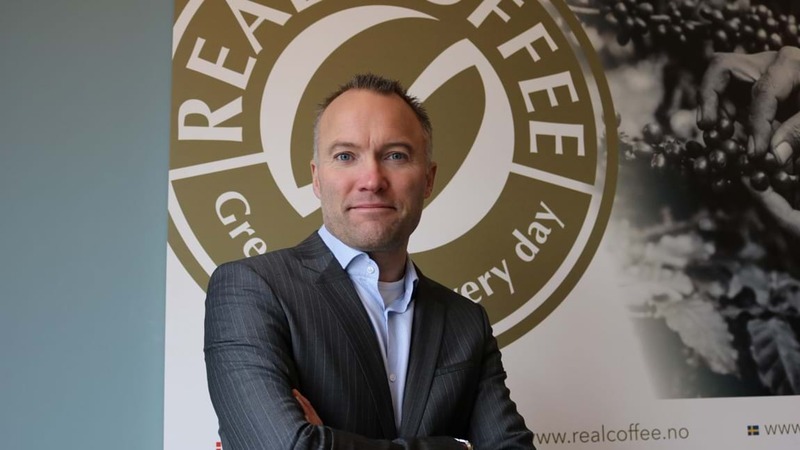 At Real Coffee, we’re rather tired of being held hostage in this political battle,” says Lars Mansfeld-Giese. The Confederation of Danish Industry also expresses regret over the loss of revenue at Real Coffee caused by the shutdown of the US government. “It shows very clearly how political impasses in our major export markets can have major consequences for Danish export companies,” says Director of the Danish Commercial Industries Federation Annette Falberg.